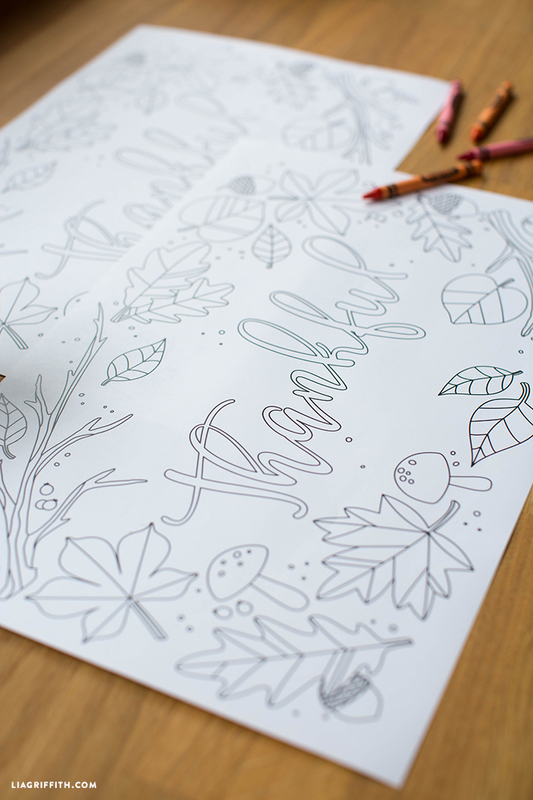 Our kids Thanksgiving coloring placemats are a great way to get the little ones in on “giving thanks” this holiday season. 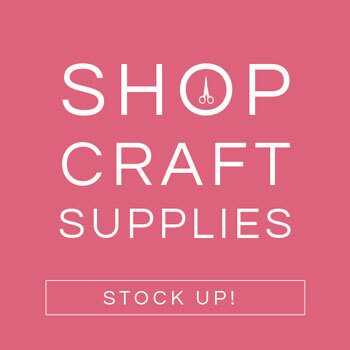 Simply download our PDF files, print and pair with coloring utensils of your choosing. 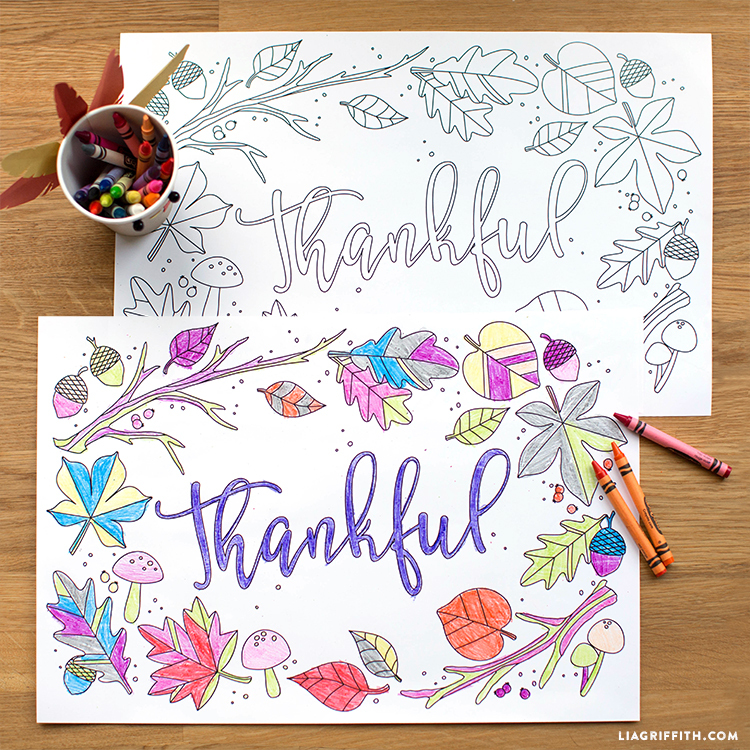 We’ve created two designs — one “thankful” and one blank. Print in either an 11×17″ size or 8.5×11″. Kids will be well entertained during the dinner hour and you’ll be left with heart-warming art pieces to remember the day by. This kids DIY is just one of many we have headed your way this Thanksgiving season… Stay tuned in the coming days for even more seasonal inspiration! Connect with us on Instagram, Facebook and Twitter today! 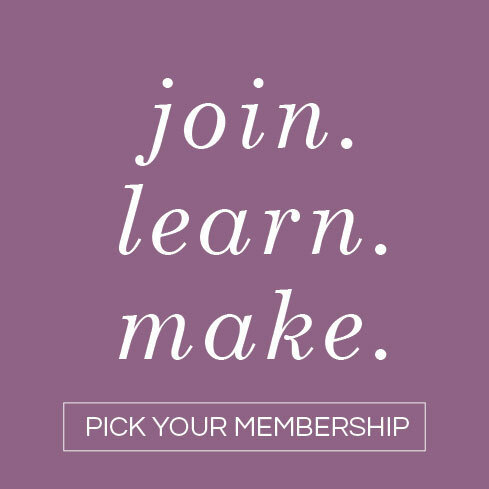 And to start crafting with us, sign up for your very own Lia Griffith membership. I wish these images were easier to use from my phone. The way it saves onto my phone doesn’t give me options to easily print because it thinks I want all three images on one single page. I’m sure there are apps to help me but it’s not giving me options. Which is why I cancelled my subscription. Oh no! You should be able to download the PDF and print from there. 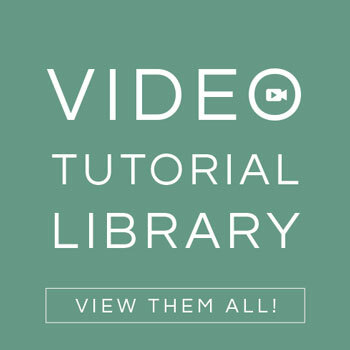 An image, not a PDF, will print that way because it’s just the default of how a web browser works on a phone vs. computer. I love the lettering! What a cute idea! !